Good ol Gizmodo posted a laugh out loud list of the worst 50 gadgets in the past decade. As I scrolled through each one, I started reflecting on friends who have purchased these items, seeing the commercials and even finding myself wanting some of these items. Like the self cleaning litter box, I guess if I had a cat it would seem like the ideal item to own, but nonetheless it was epically fail! The list goes on and on and each one just as true as the last. My biggest gripe is with Sony's non conformity efforts to allow their laptops and devices to read other types of memory sticks. I purposely WILL NOT buy a Sony anything (that requires a memory card) for that very reason. Memory Stick Prod Duo GO THE EFF away please! - Those baby motion detectors that "easily mount to the crib".. REALLY? enough said. - The hack version of an in car blue tooth where you plug this thing into your phone, tune into an am station then just talk. It never works, it cuts out and works terribly. 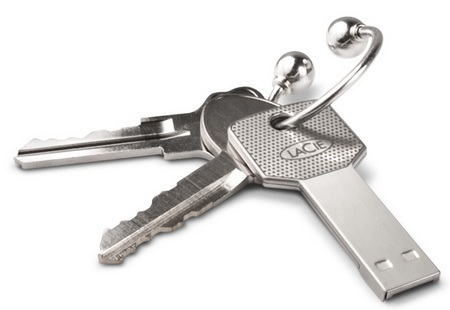 - Flash Drive Jewelry, now my key shaped flash drive, that's cool! - I know this isn't a gadget or even remotely related.. but UGG BOOTS.. omg can someone please make UGG boots disappear. I understand the functionality, but will never get how it became a fashion staple, especially in southern California. Pair em with a pair of hot pants or a mini skirt and you got yourself a cali girl. There's too many to list, but although certain technologies may render useless, they do provide a nostalgic "remember when.." type feeling.